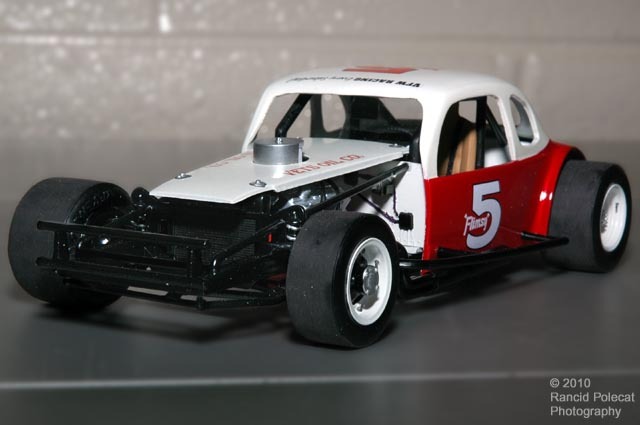 Gary modified the roll cage with Evergreen rod and scratchbuilt the rear bumper. He added aluminum tube collectors to the basic kit headers. The carburetopr is a resin part from Fred's Resin Workshop. Spark plug wires are electrical hook up wire Gary had laying around.